Sorry - we currently only accept sample requests from United Kingdom and Ireland. 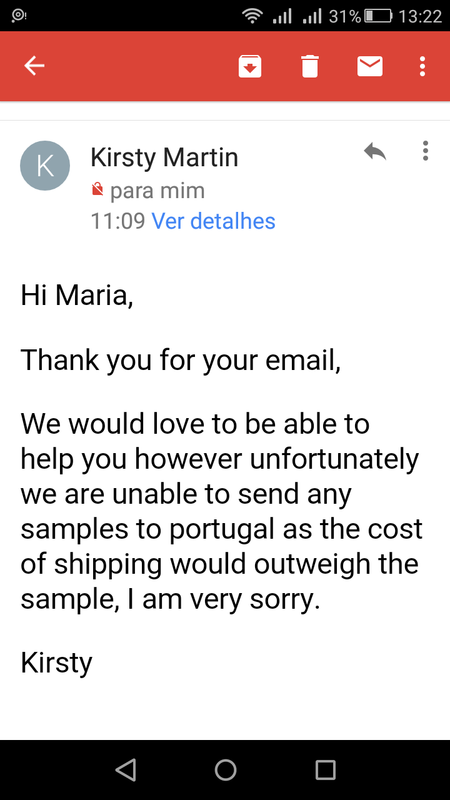 resposta: Sorry - we currently only accept sample requests from United Kingdom and Ireland. For other countries, please contact us directly via telephone (+44) 01733 898102 or email [Você precisa estar registrado e conectado para ver este link. ].